The PCA is one of the faster growing denominations in the United States, with over 1450 churches and missions throughout the USA and Canada. There were over 306,000 communicant and non-communicant members as of December 2000. “Reformed” defines the doctrinal beliefs of the PCA, which holds that the purest expressions of scriptural doctrine are found in the Calvinistic creeds, particularly the Westminster Confession of Faith. The PCA’s representative form of church government is rooted in its name — presbyterian. Local churches are governed by elders (presbyters) elected by the church members. This form of government extends through the regional presbyteries, which facilitate connectionalism, to the national General Assembly, which expresses PCA’s connectionalism and the bond of union between/among all the churches. Westminster Bookstore is the campus bookstore for Westminster Theological Seminary in Philadelphia, PA. We exist to serve the Kingdom of God by supporting both the Westminster Theological Seminary community as well as the broader church through the distribution of high quality, biblically faithful, Reformed/Christian books and resources. On Ligonier.org you have access to almost 8,000 resources to help you grow in grace and the knowledge of our Lord and Savior Jesus Christ (2 Peter 3:18). Many of our resources are available on DVD, CD, as digital downloads, or as Ligonier Connect courses. The growing Christian or the inquiring skeptic can find trustworthy books on many subjects. Recently, Dr. R.C. Sproul's entire Crucial Questions series was made free to download. Take a look around. Whether it's listening to today's broadcast or a sermon series, planning to attend a conference, reading our blog, enrolling in the Ligonier Academy of Biblical and Theological Studies or Reformation Bible College, taking a Ligonier Connect course, enjoying 24-hour internet radio on RefNet, or subscribing to one of our free podcasts, we hope you'll find something to enrich your growth in Christ. As a family within the Presbyterian Church in America (PCA), MTW has the joy and privilege to be involved in over 80 nations, with some 640 long-term missionaries, laboring in partnership with almost twice that number of international colleagues, together with many stateside churches and national staff. Gratefully, the phrase “from everywhere, to everywhere” is taking ever deeper root among us and we’re learning how to more broadly collaborate where God is advancing His kingdom while remaining faithful to our Reformed and covenantal convictions. Our understanding of the Scriptures as the Word of God. Our perception of God’s grace at work in our lives. Our deep commitment to a relational approach to ministry preparation that provides more than a merely academic education. Many new immigrants arrive with a huge need: the need to learn English. We can meet that need and reach them with the Gospel through English as a Second Language (ESL) schools. Already dozens of PCA churches across North America have seen God work in amazing ways through their ESL Schools. MNA has realized the strategic value of ESL and is striving to help more churches within the PCA start ESL Schools. In 1994, Dr. R.C. Sproul set out to faithfully, thoroughly, and clearly proclaim the glories of God revealed in the Bible against the backdrop of culture, philosophy, apologetics, ethics, and church history, to all who would listen. The outcome was the daily radio broadcast Renewing Your Mind. Twenty years, 342 stations, thousands of broadcasts, and millions of listeners later, his aim has not changed—to help Christians know what they believe, why they believe it, how to live it, and how to share it. 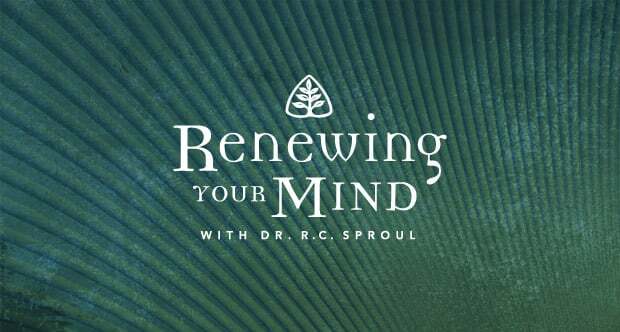 Renewing Your Mind is an outreach of Ligonier Ministries, an international Christian discipleship organization founded in 1971 by Dr. R.C. Sproul. Our commitment is to faithfully present the unvarnished truth of Scripture to help people grow in their knowledge of God and His holiness. Mission to North America (MNA) serves PCA churches and presbyteries as they advance God’s Kingdom in North America by planting, growing, and multiplying biblically healthy churches through the development of intentional evangelism and outreach ministries. Founded in 1996, The mission of Highlands Ministries is to help Christians live more simple, separate, and deliberate lives to the glory of God and for the building of His kingdom. That’s a big job, one done not simply, but deliberately. To that end we have a number of different ministries. Byfaithonline.com is the web magazine of the Presbyterian Church in America. The title is inspired by Hebrews 11 and the realization that just as it was “by faith that Abraham obeyed and went…,” we live by faith today. At the same time we were reminded that we all need help, and we were humbled by how God has blessed our denomination. We have—in our pulpits, pews, and classrooms—men and women who can “build us up and spur us on toward love and good deeds.” Byfaithonline.com is where you can hear their stories and be encouraged by their lives; it is where you can be connected to God’s people, and drawn into the life of the church. What’s more, byfaithonline.com is where readers can be equipped to think biblically about the social and theological issues that shape our world. It’s where they’re encouraged to use their gifts creatively in every facet of life, and thereby become a more involved part of God’s plan and purpose for the world. Byfaithonline.com is created from a Reformed/PCA perspective, and provides a Christian world-and-life view. Where there’s struggle, controversy, or debate we handle issues graciously, always striving for the peace, progress, and purity of the Church. Our mission is to glorify God by serving the members and churches of the Presbyterian Church in America (PCA) as they seek to make disciples of all nations (Matthew 28:19). When the PCA began in 1973, the First General Assembly formed the Committee on Christian Education and Publications (CEP) now Committee on Discipleship Ministries (CDM) to “assist … local churches in the task of learning and proclaiming the truth to the end that God’s people will be adequately equipped to do the work of ministry.” At its essence, discipleship is the process by which the Holy Spirit brings a sinner to a life-changing knowledge of Christ, using the Word of God and members of the Body of Christ. Discipleship goes beyond evangelism as it includes every aspect of a believer growing in his/her love for and obedience to Christ. In a local church, discipleship ministry is multi-faceted; therefore, the ministry of CDM covers five areas: ministry to children, youth, women, men, and seniors. We are committed to philosophies and practices that are grounded in covenant theology, whereby God reached out to his fallen creation and began a work of redemption through Jesus Christ. We seek to promote ministry that enables God’s people to engage a fallen world with a Christian worldview, thus participating in God’s work of redemption. As a ministry of the Presbyterian Church in America, RUF holds to the core beliefs of historic Christianity which motivate our heart for God and love for the university. Some of these beliefs include the need for new life in Christ, the authority of the Scriptures, and the mission of the Church to reach and equip all people with the message of the gospel. We love the university. There is a great deal of richness in the life of the university that we celebrate – the Gottwald Center for the Sciences, the Modlin Center for the Arts and the Robins Center just to name a few. Unlike previous generations, however, our universities no longer offer much in the way of a historically orthodox, biblical perspective as an integral part of the academic life of its students. What if, once again, students had access to Centers that did just that and provided a place where they could come together and explore a biblical worldview and its relevance to their studies, their lives and the world we live in? The Richmond Center for Christian Study, along with 40 other Study Centers throughout the country, fills that gap. University of Richmond students and the Greater Richmond community Note: There is no formal relationship between the Richmond Center for Christian Study and the University of Richmond.